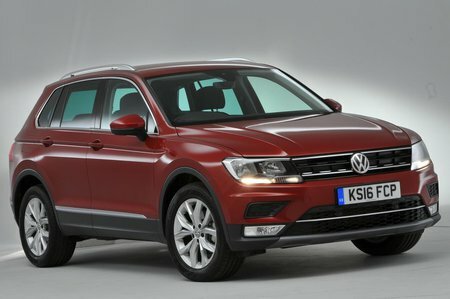 Volkswagen Tiguan 2.0 TDi BMT 150 4Motion S 5dr 2019 Review | What Car? What Car? will save you at least £2,474, but our approved dealers could save you even more. This entry-level trim still brings a reasonable amount of standard equipment, including air conditioning, alloy wheels and a touchscreen infotainment system with Bluetooth and a DAB radio. You also get plenty of safety kit; lane departure warning and, impressively, automatic emergency braking are both standard. This is the best engine in the Tiguan range. It’s affordable, offers a decent amount of punch and fuel economy is reasonable. CO2 emissions are acceptable, too, making this the most sensible choice for company car drivers. An auto ’box and four-wheel drive are optional.